In April 2013, Egypt unveiled its first ever locally manufactured tablet computer, the Inar, made by state-owned electronics firm Katron, which was established in 1964. Inar was primarily intended for educational purposes as it was planned to be sold to the Ministry of Education at a subsidised price in order to encourage computers in education. It has a built-in memory of eight GB and supports an external storage capacity of up to 32 GB. 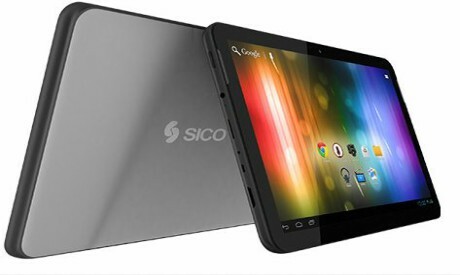 The tablet, which is available in two colours, gold and black, is equipped with a Quad-core 1.2 GHz processor. It has a 2800mAh battery that can last for up to six hours of talk time or 30 hours of music playing. Mahmoud, the owner of a mobile and tablet shop in Cairo, has sold only one tablet since its launch a few days ago. “People still have not heard enough about the SICO Express 3,” he told the Weekly. He added that it had a great opportunity to succeed in the market due to its reasonable price. In February, SICO Technology released its first locally manufactured smartphone across the country, with the same local-component proportion at 45 per cent, including parts of the motherboard. Of the three models produced, the Nile X has the best specifications and sells at LE3,500. There is also a Plus 2 smartphone for LE2,000. SICO Technology is targeting five per cent of the local market for smartphones in its first year of production. The mobile-phone penetration rate in Egypt was 110 per cent in January 2017, with 98.2 million users, according to the Ministry of Communications and Information Technology.